1. A complementary high energy feed paste containing chelated trace elements, minerals, vitamins and prebiotics. 2. Enhances the immune system for efficient absorption of the micronutrients. 3. Includes prebiotics and immunoglobulins to form barriers against pathogenic organisms within the first 24 hours of life. 5. CALF GUARDIAN comprises of 635kj Energy per 30g tube and offers a super energy boost to the calf in the initial stages of life. 6. Carefully administer the contents of one syringe orally onto the back of the animals tongue within the first 12 hours of birth. 7. Available in boxes of 12 individual 30g tubes. 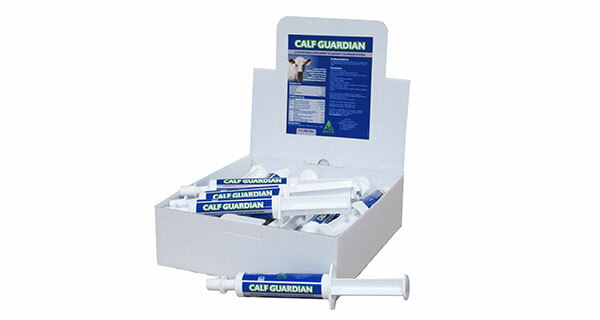 To download CALF GUARDIAN product information, click here.